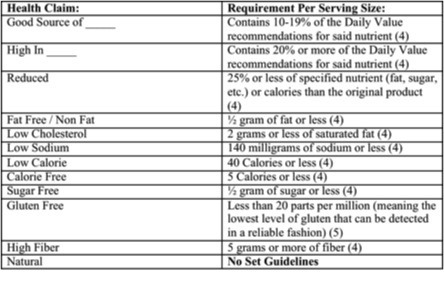 All foods and beverages sold in stores are required to include a nutrition facts panel. Some exceptions include alcohol, fresh produce, and made to order foods. The nutrition panel gives caloric content, fat-protein-carbohydrate breakdown, and some other vitamin and mineral content information. The most important thing to know when reading a food label is that the information is given for ONE serving size and some packages contain more than one serving size. Let’s be real, how many people actually measure out the typical serving size of ¾ cup of cereal in the morning? This is why it is important to be cognitive of serving sizes indicated on packages versus how much of the package you actually consume. The % daily values are based off of a 2000-calorie diet - but depending on your individual caloric needs, yours may differ slightly from the recommendations. The % daily values tell you how much of a certain nutrient you obtain from eating the food based on nutrient recommendations. You want to eat foods that are high in fiber, vitamin A, C, iron, calcium, and other vitamins/minerals while staying away from foods that have high % daily values for sodium, trans fat, saturated fat, and cholesterol. High refers to 20% or more of the daily value and low refers to 5% or less of the daily value (1). Health Claims must meet an agreement among the experts within the field of a given diet-disease connection. The evidence from research that provides proof of the relationship must also be publicly available. In other words, there must be substantial evidence along with consistent findings in order for any food company to market their product as something that reduces the risk of any disease or other health-related condition (2). An excellent example of a health claim is on a popular cereal box, "Cheerios May Reduce Your Cholesterol" (3). Soluble fiber in the diet has been sufficiently backed up by the scientific community as a great way to lower an individual’s cholesterol levels. 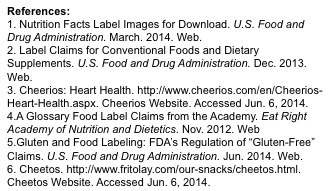 Because Cheerios contain oats, which are high in soluble fiber, the FDA allows such health claims. However, just because a food item has this claim, it does not mean the results are actually effective. 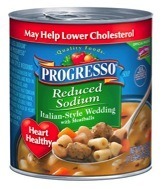 Lowering sodium content in canned soup may say "Heart Healthy," but actually still could contain over half the daily recommended limit. Structure/Function Claims are statements on food packages that illustrate the role of a nutrient or ingredient in the product. Some examples of these types of structure function claims include "calcium builds strong bones", "antioxidants maintain cell integrity" or "fiber maintains a healthy digestive tract." A structure function claim does not require as much substantial evidence as health claims do, however they may not directly link the consumption of the product to any health outcomes (2). For example: saying, "Eating yogurt prevents osteoporosis" - would not be okay, even though there is calcium in yogurt, a statement like that could be misleading. The statement placed on the yogurt below is a great example of a function claim. 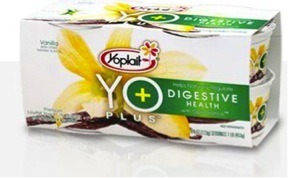 The probiotic bacteria found in many yogurts are known for promoting digestive tract health and therefore yogurt brands use this knowledge to promote sales. Notice that the label says probiotics promote digestive health, not the yogurt itself - which is the critical (and confusing) difference between a health claim and a function claim. Notice how some of these claims such as "free" actually can contain small amounts of such nutrients that are seemingly without. It is important to know what these words mean so that you can be a better consumer and understand that a lot of the words are simply marketing ploys to get you to buy their product. Natural for example is the biggest culprit. There is nothing that defines or regulates the use of natural. Many shoppers might be more inclined to purchase something that says Natural on the front because it sounds locally grown/manufactured or with limited additives. 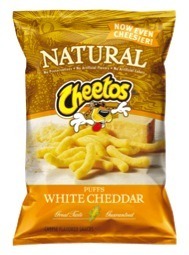 However, if you take these white cheddar Cheetos for example with the beautiful and fancy packaging that give an illusion of health and compare them to regular Cheetos - their nutritional composition is actually very much the same (6). Packaged foods are convenient and everyone inevitably will eat processed food at some point. By knowing how to read and understand food labels in addition to keeping consumption of these packaged foods to a minimum, you can still maintain a healthy diet. 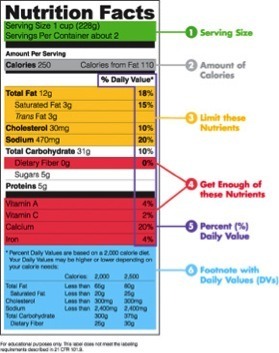 Understanding the food label is important to knowing what nutrients and ingredients you are consuming. Knowledge is power, especially when it comes to food and your nutrition. Pair any processed food you eat with a fresh food to ensure proper nutritional balance, and make sure you know what you are putting inside your body before you take a bite!